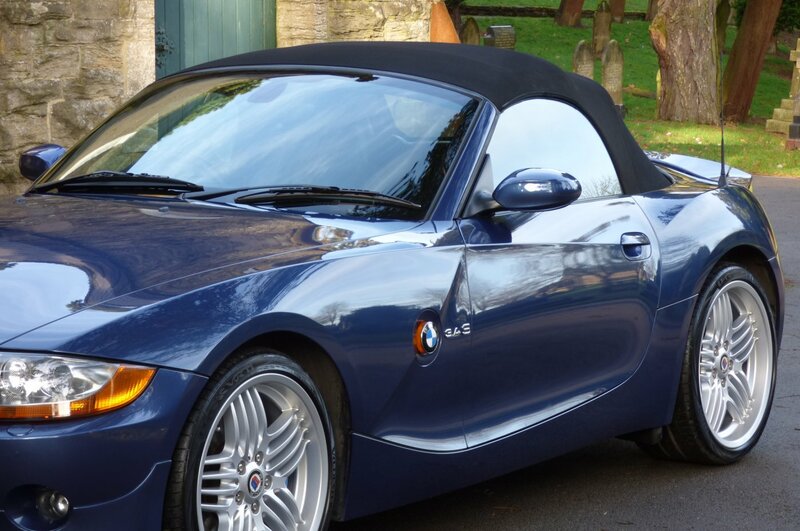 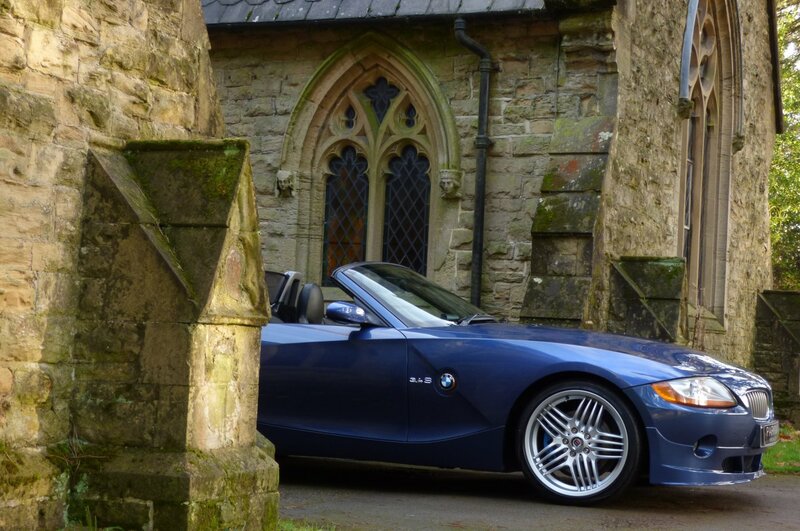 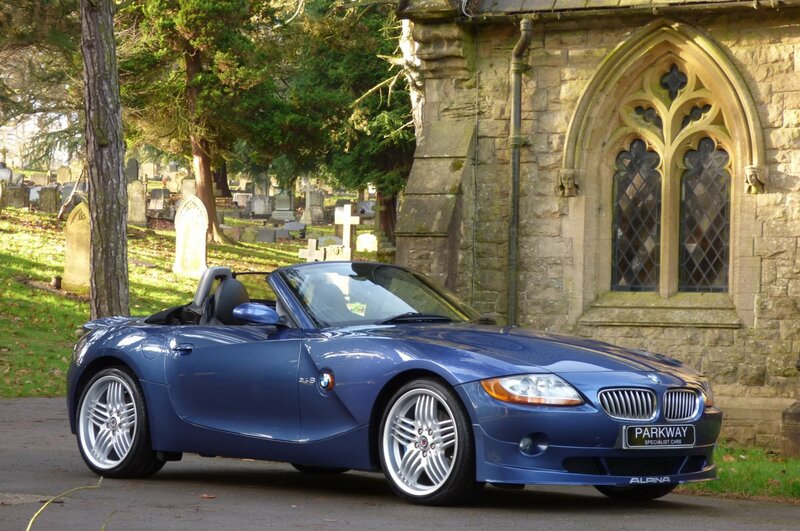 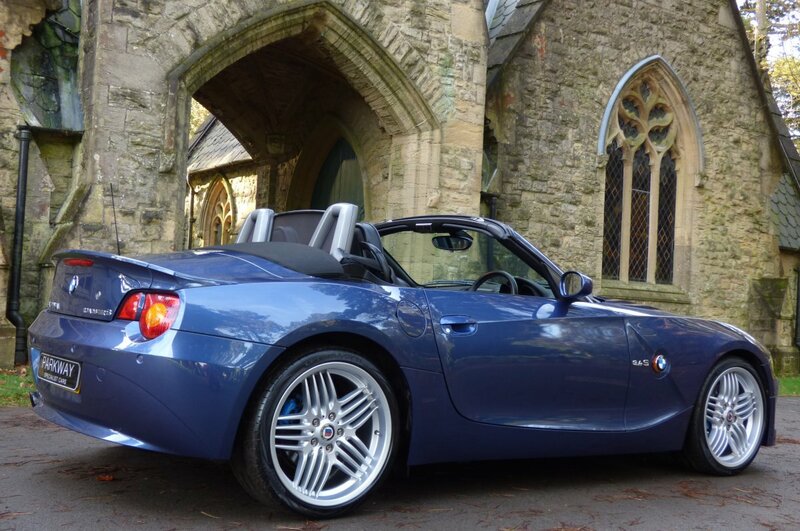 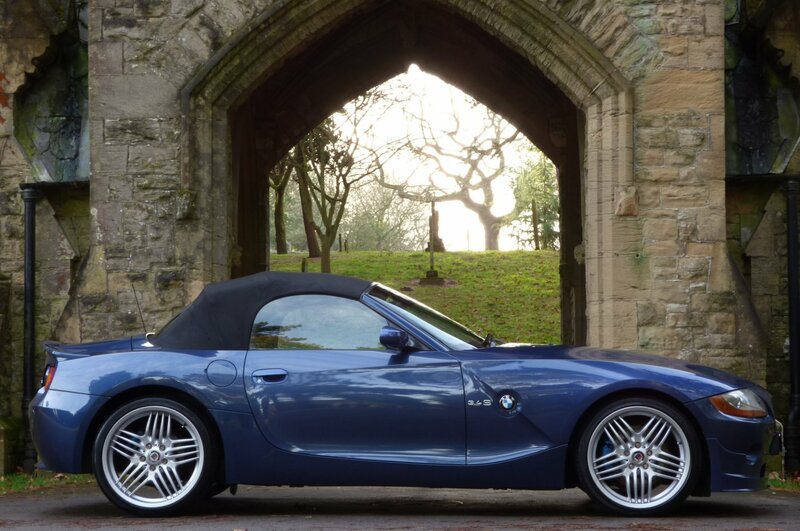 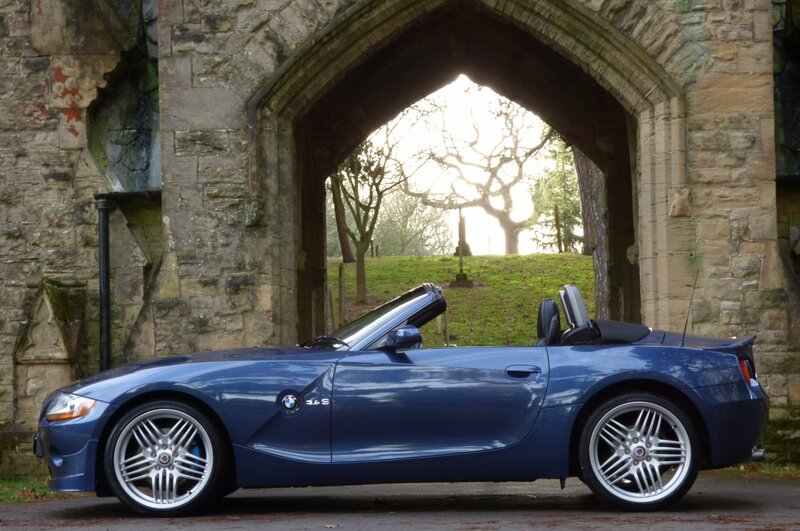 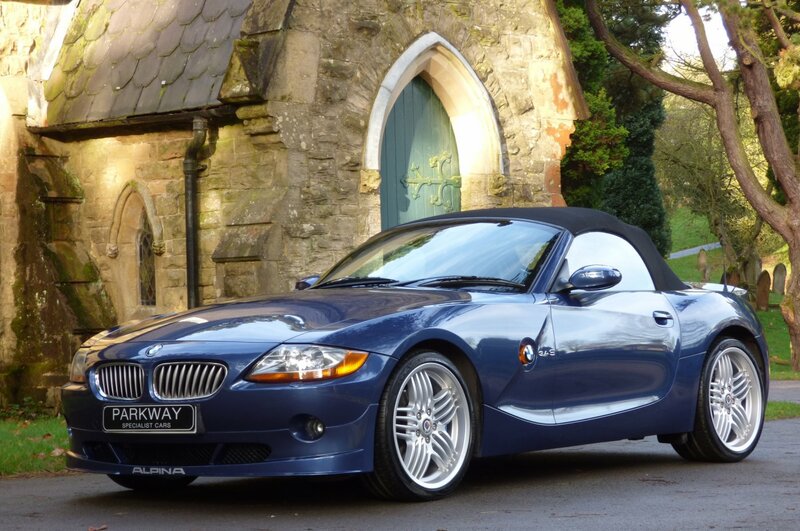 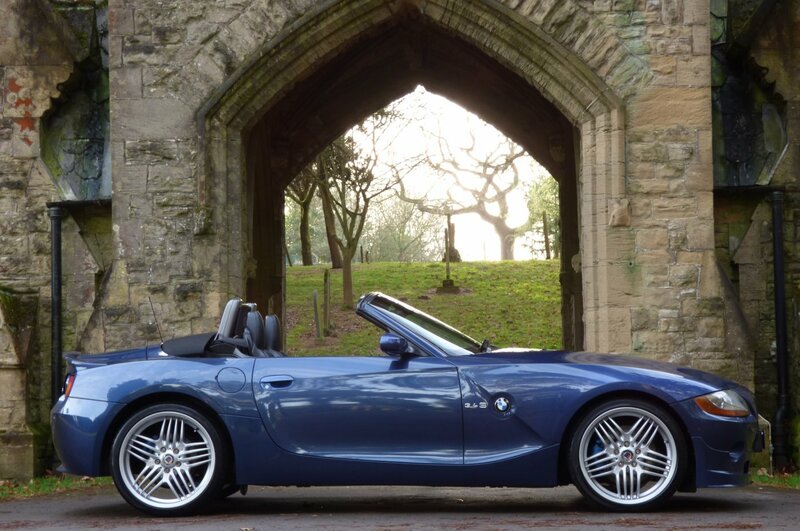 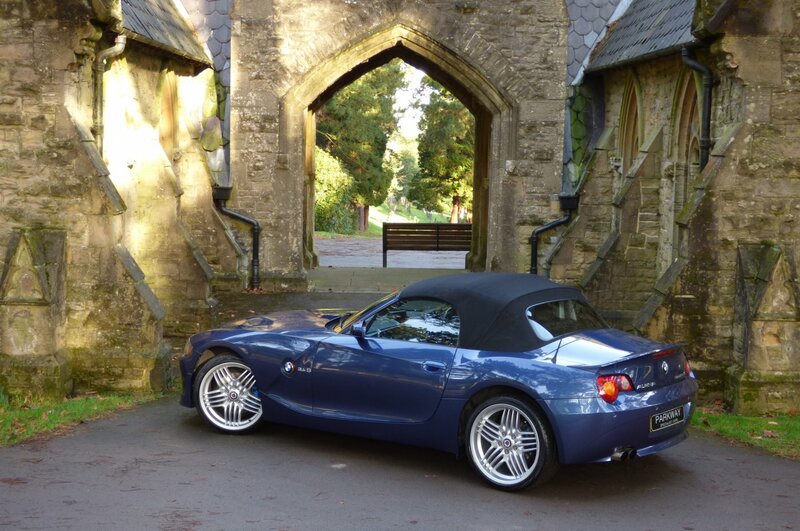 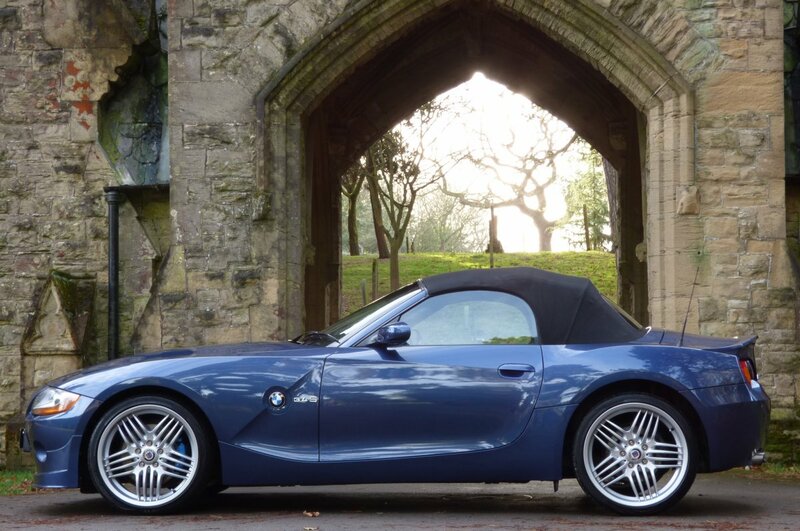 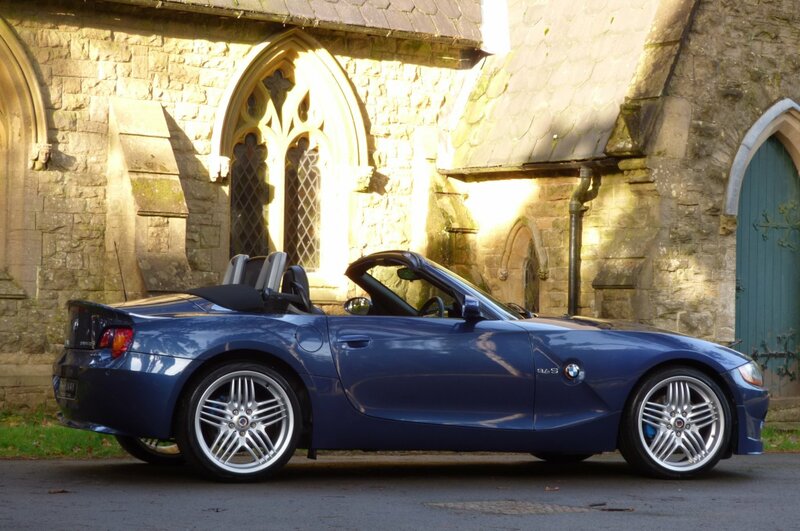 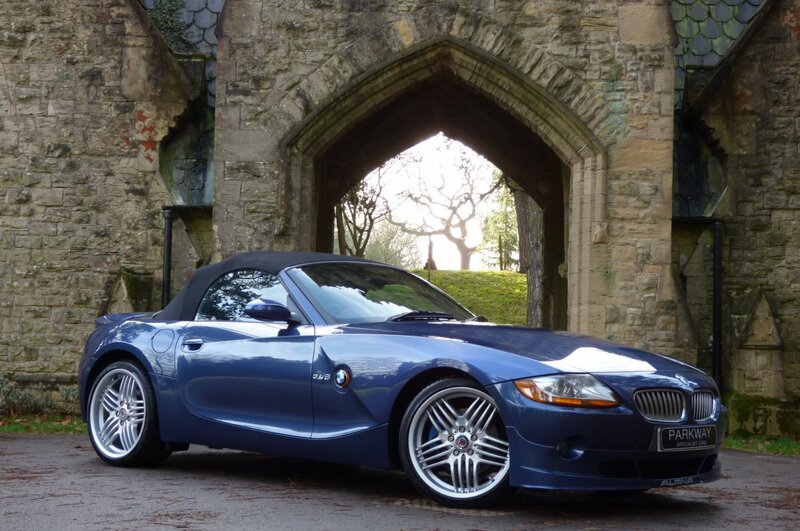 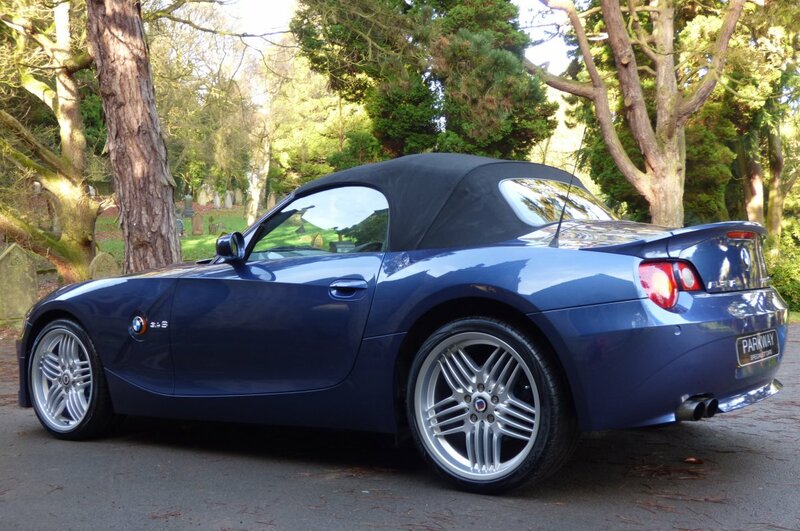 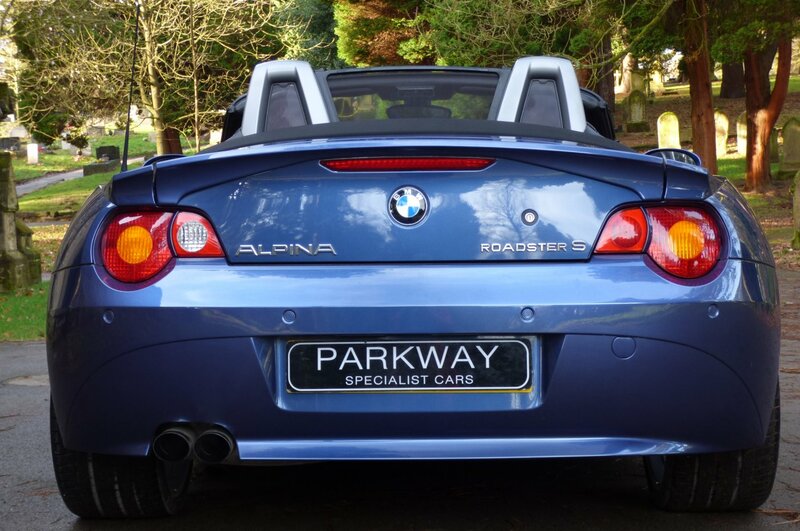 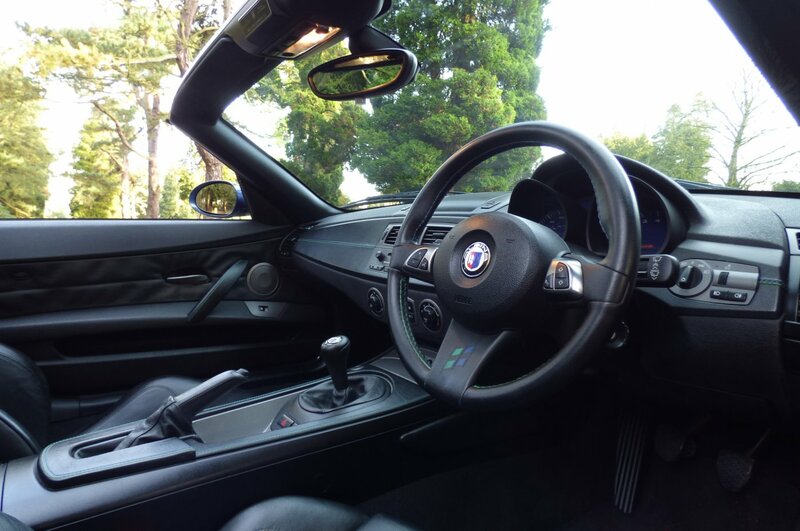 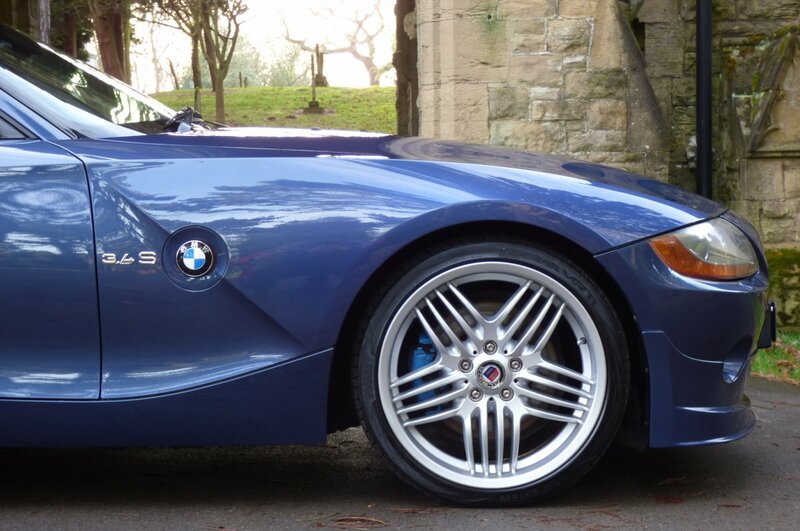 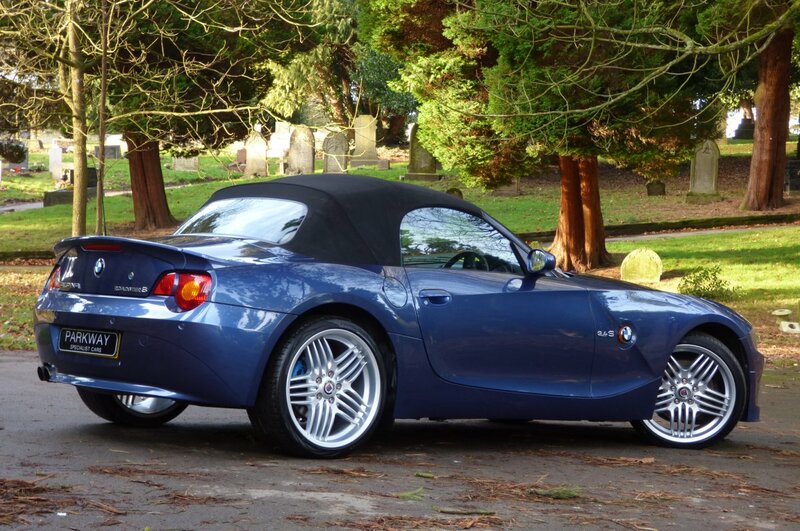 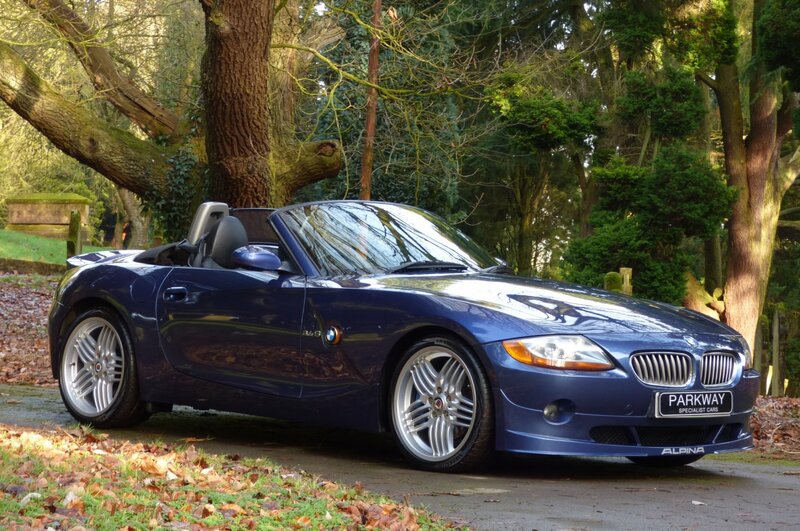 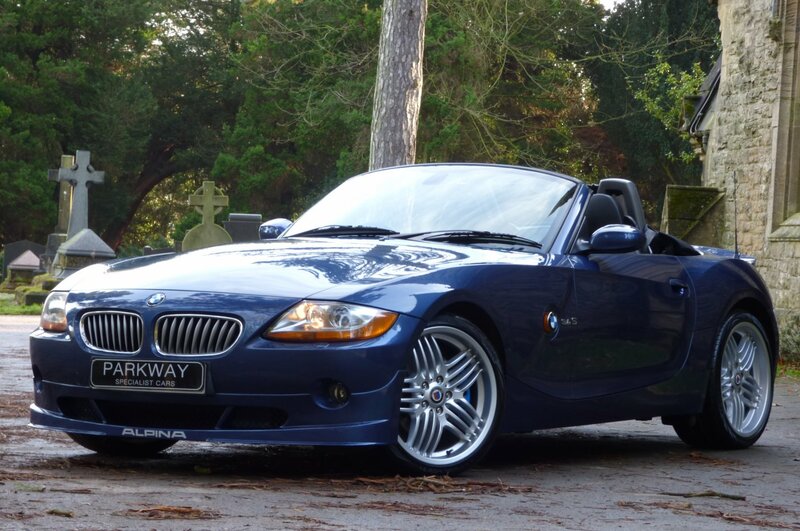 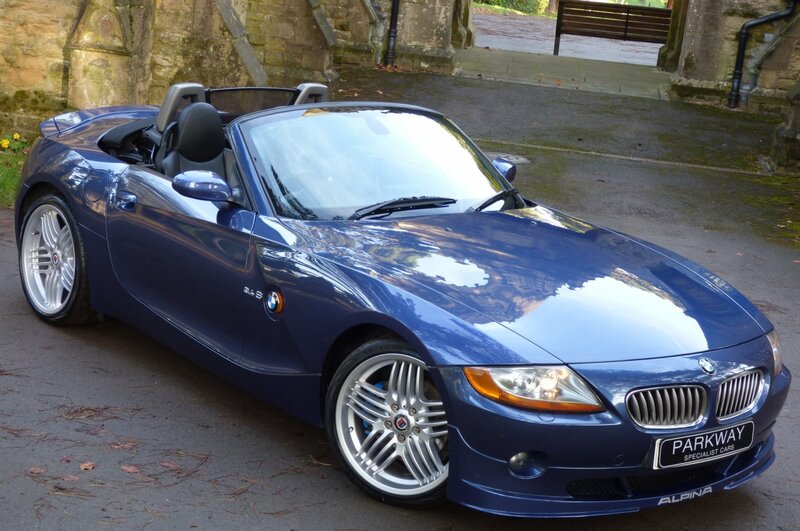 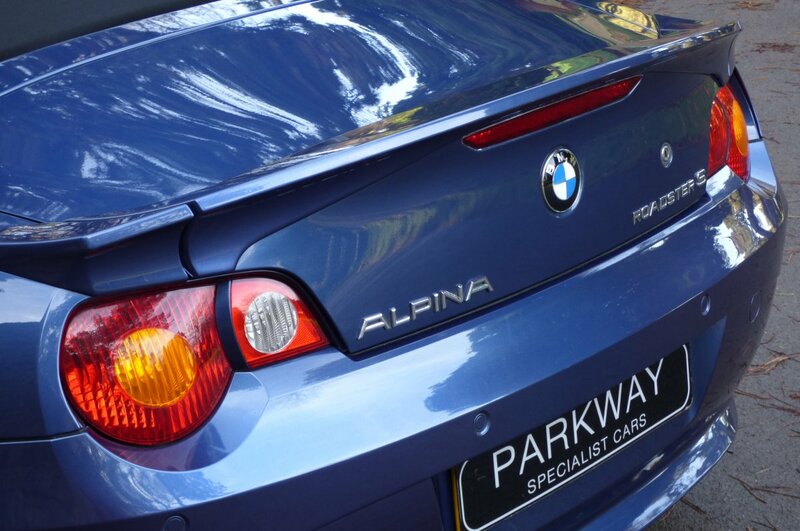 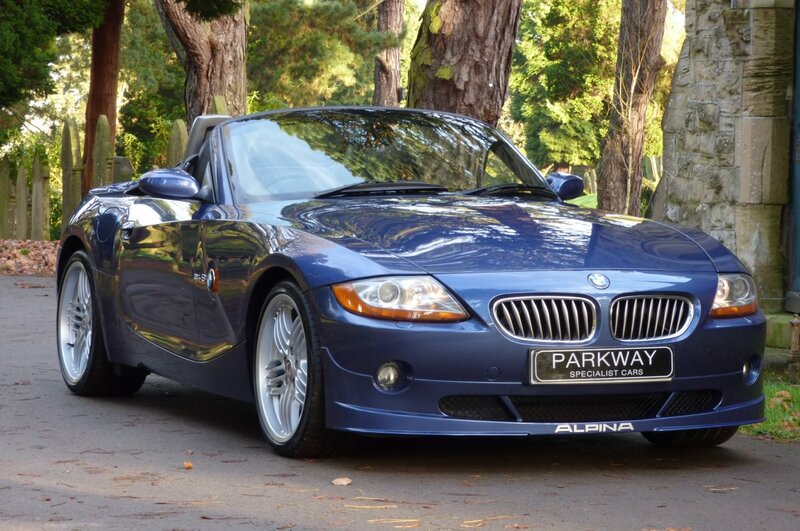 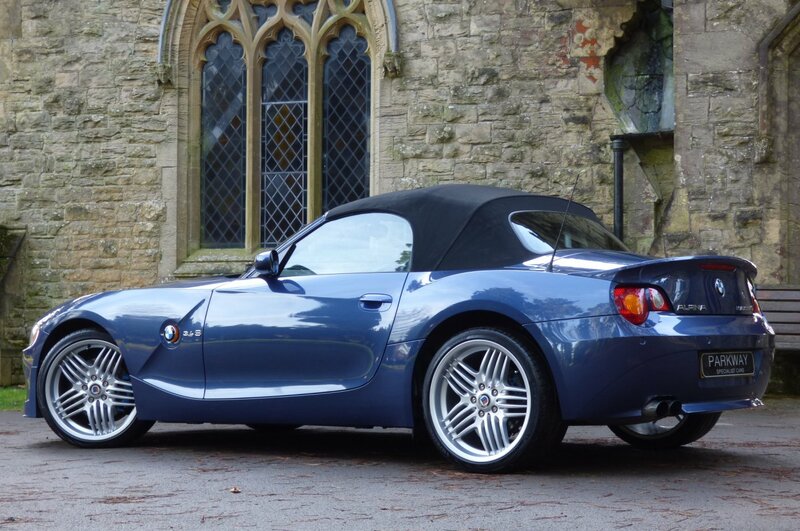 The BMW Z4 Was First Showcased To The World In 2002, With This Striking New Addition To The BMW Line Up, To Be The Ultimate Replacement For The Much Loved BMW Z3. 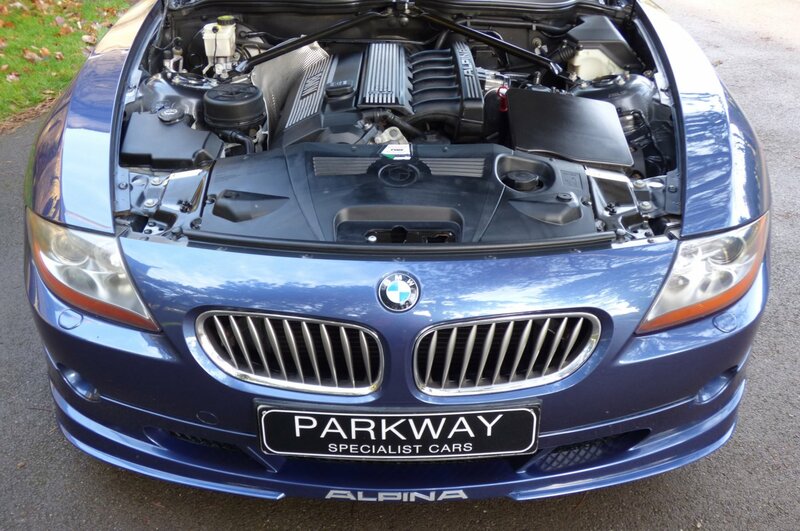 Like Many Glorious Past BMW Vehicles, The German Based Company Alpina Burkard Bovensiepen Would Take A Standard Looking Model And Upgrade Many Aspects From The Performance, The Exterior Styling And More Expensive Interior Refinements, Thus Creating A More Unique Interpretation, But Still At The Same Point Being Closely Monitored By The BMW Factory. 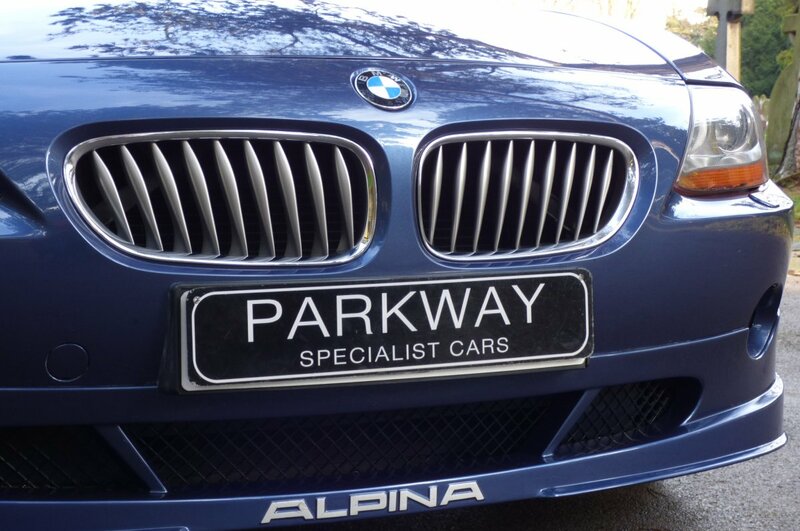 Ever Since 1965, Alpina With Its Headquarters Now Based In The German City Of Buchloe, Have Been Developing Luxurious Individual Creations With This Brand Being One Of The Most Exclusive In The World, With Less Than 2,000 Vehicles Produced Annually From Just Fifteen Current Models To Choose From. 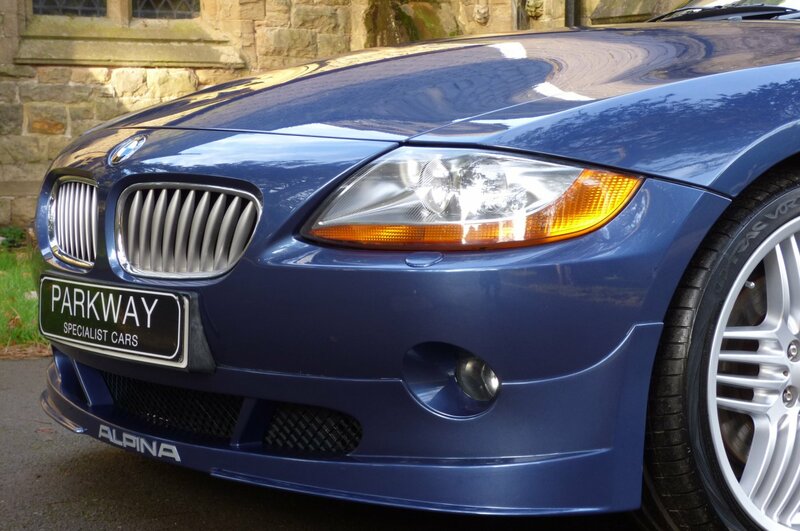 Exclusivity Was Always To Be The Key Word, As When This Stunning Model Was Introduced, Only 550 Vehicles Had Been Offered Globally Of Which Only 167 Right Hand Drive Cars Had Been Produced And Then Sold By The UK`s Only Alpina Authorised Dealer, Sytner, Which Today Now Means That This Rare Example Has Become Highly Interesting And Collectable On A Global Scale, Due The Limited Low Build Numbers. 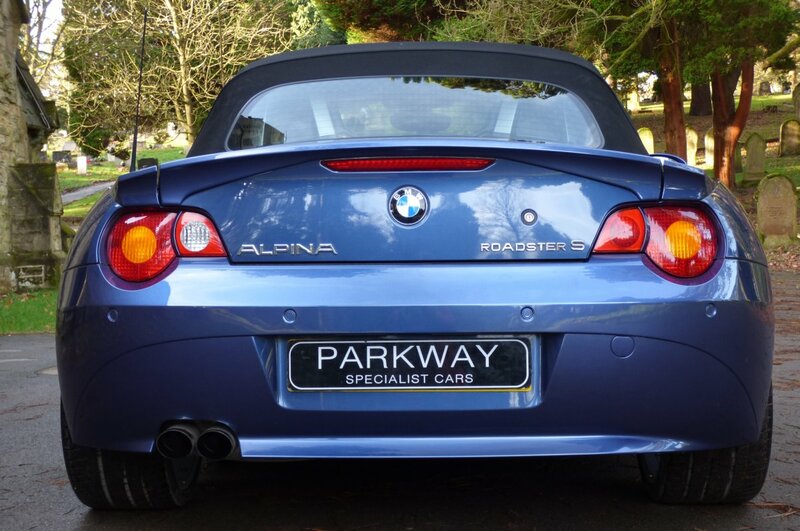 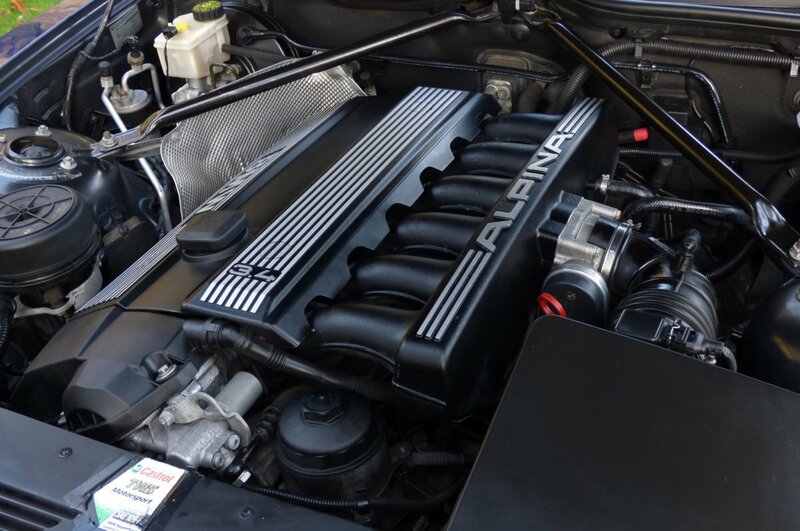 Number 204 Was First Supplied Sytner BMW/Alpina Of Nottingham On The Forth Of April 2005 And Over The Last Thirteen Years Has Had Just The Two Registered Keepers From New, Which Is Viewed As Being Remarkably Rare To Find. 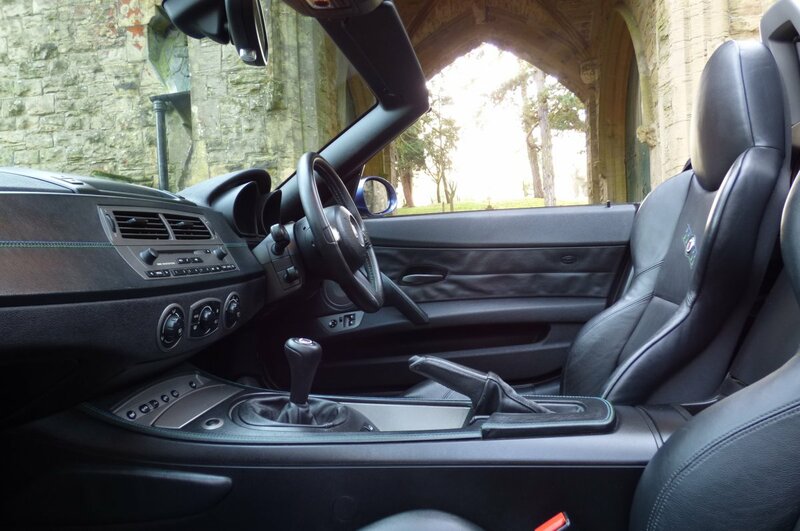 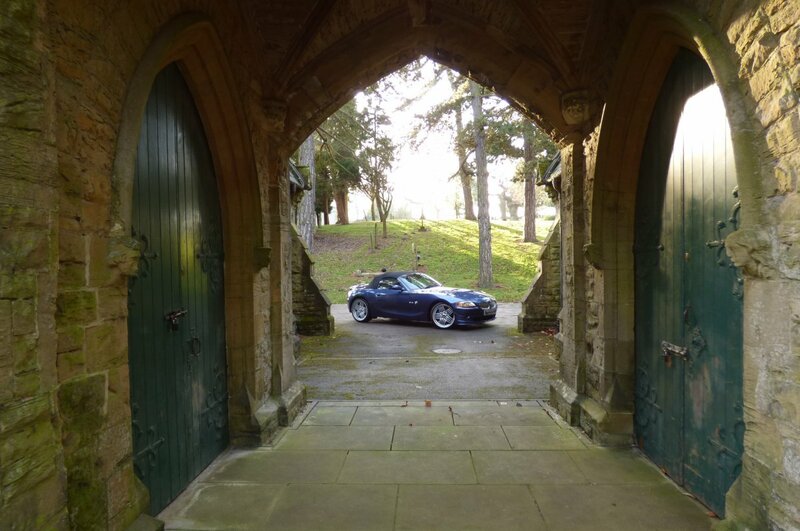 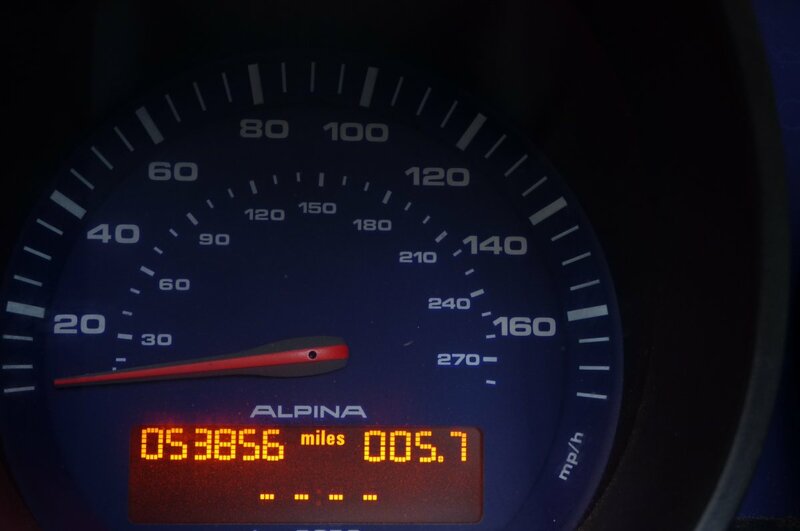 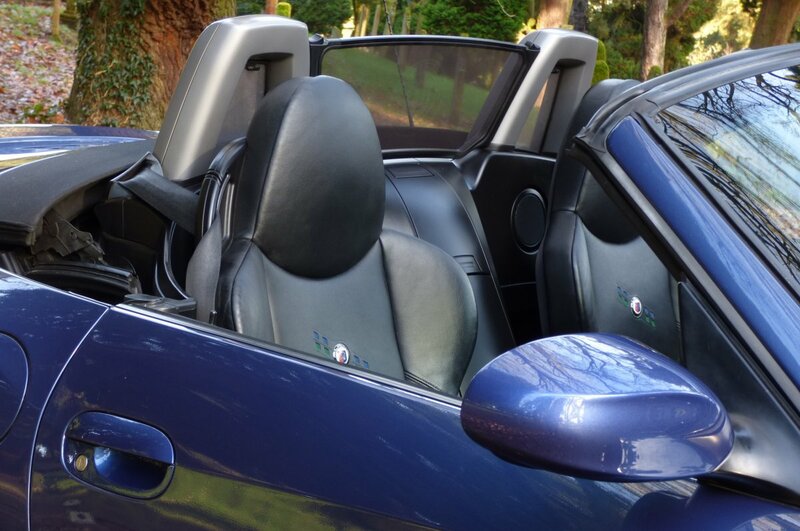 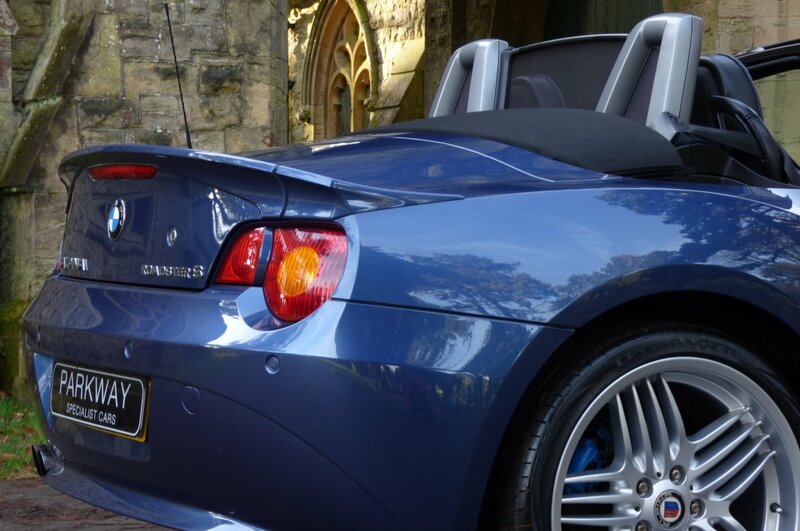 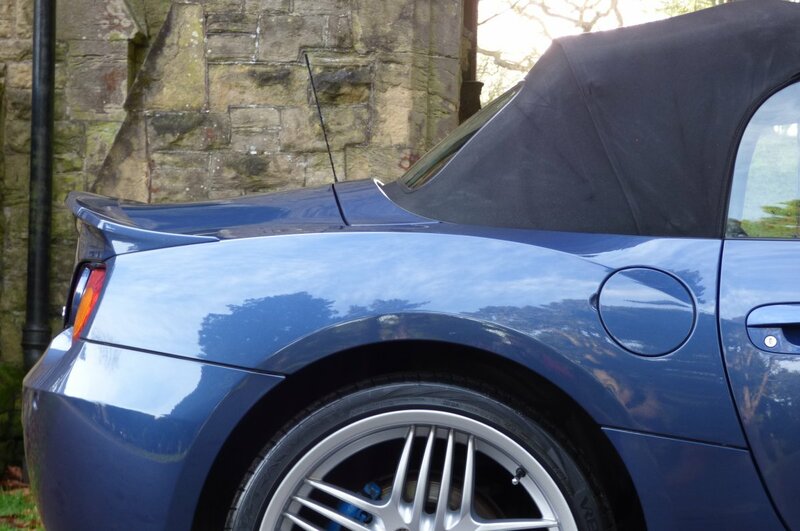 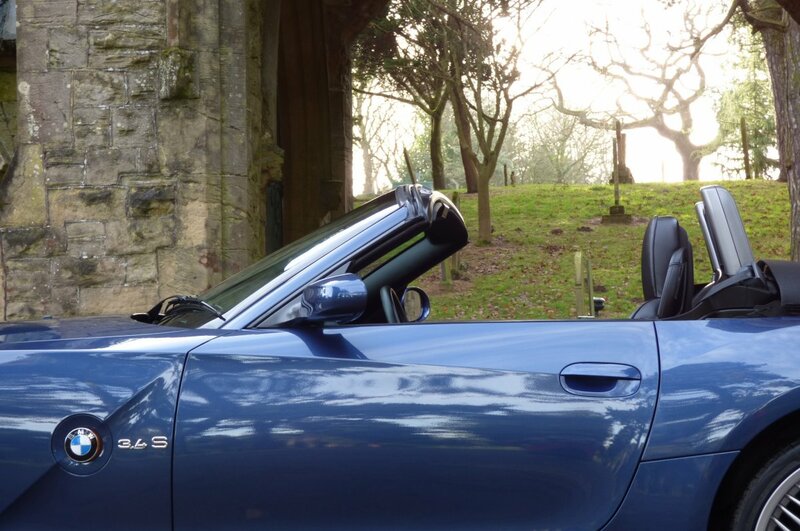 The Current Mileage Reading Is Just 53856 Miles, Which Roughly Works Out At Just 4200 Per Annum, However Regardless Of This, Our Roadster S Has Been Serviced To A High Standard With Past Historical Visits Logged At 1117, 5903, 12197, 19572, 25601, 27360, 35790, 43143 & 51207 Miles And Once Sold Will Have A Further Service Completed By Our Fully Trained And Knowledgeable Workshops Prior To The Next Lucky Custodian Taking Charge Of Their Own Ownership. 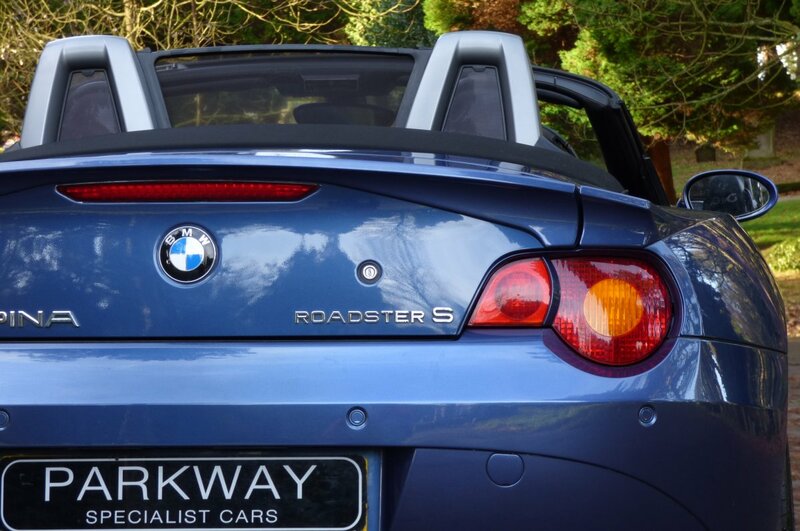 The Roadster S Came With The 3.4 Litre Twenty Four Valued Petrol Engine, Which Generated A Healthy 300 Brake Horse Power, That Would Easily Accelerate From 0.62 MPH In Just 5.0 Seconds, Would Complete A Quarter Mile In 13.5 Seconds And Would Climb To An Electrically Limited Top Speed Of 165 MPH, With Or Without The Convertible Roof In Place. 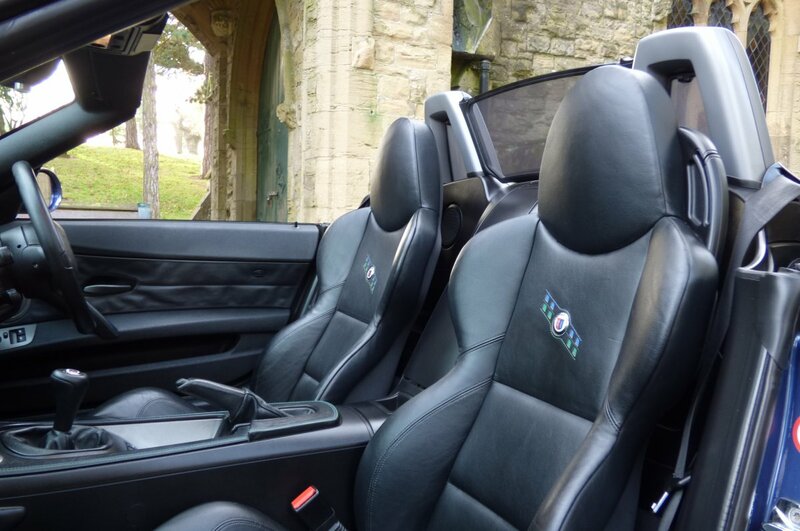 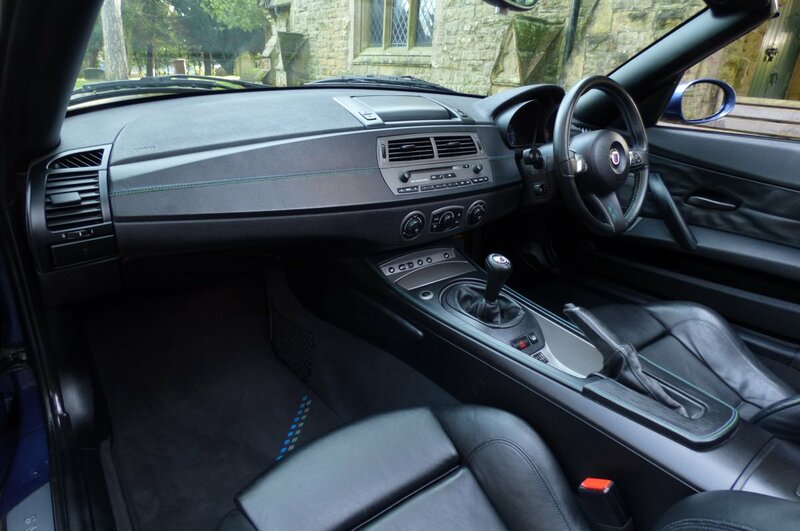 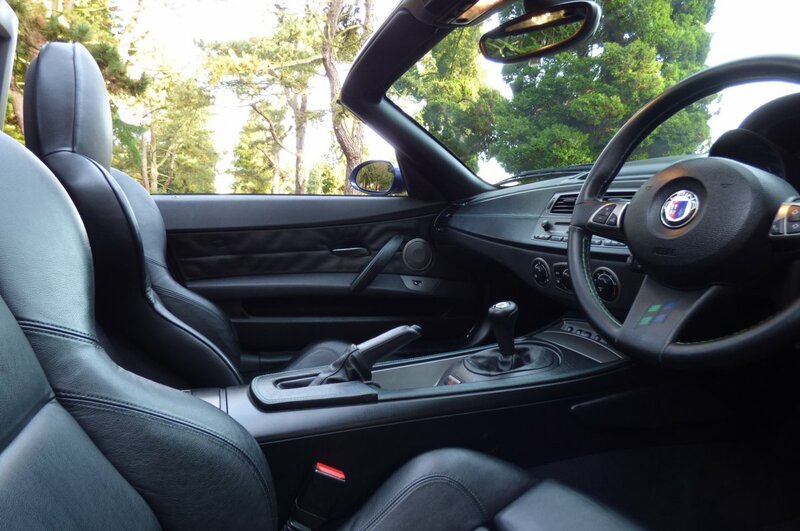 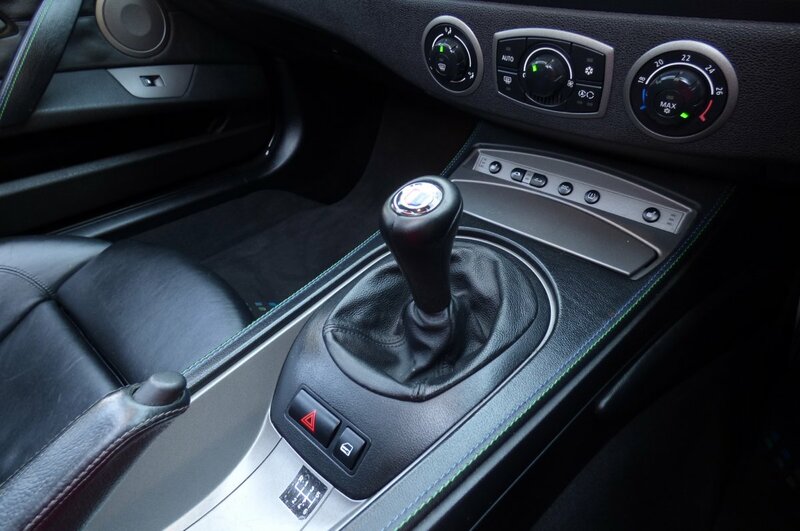 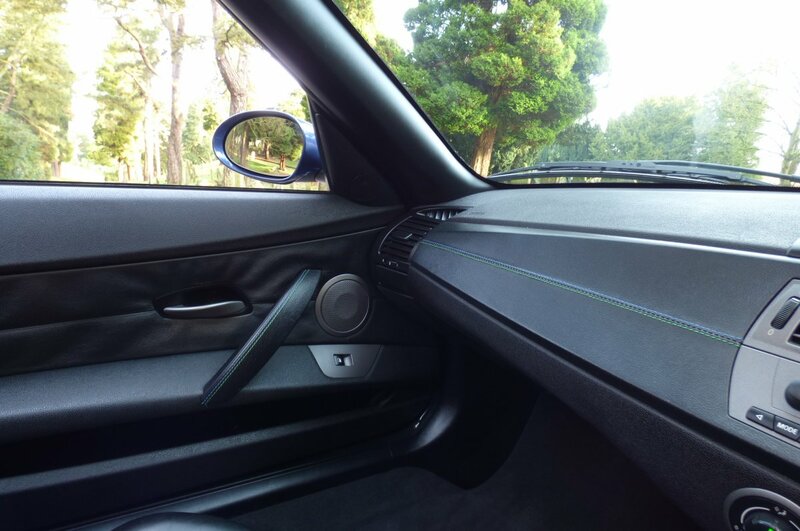 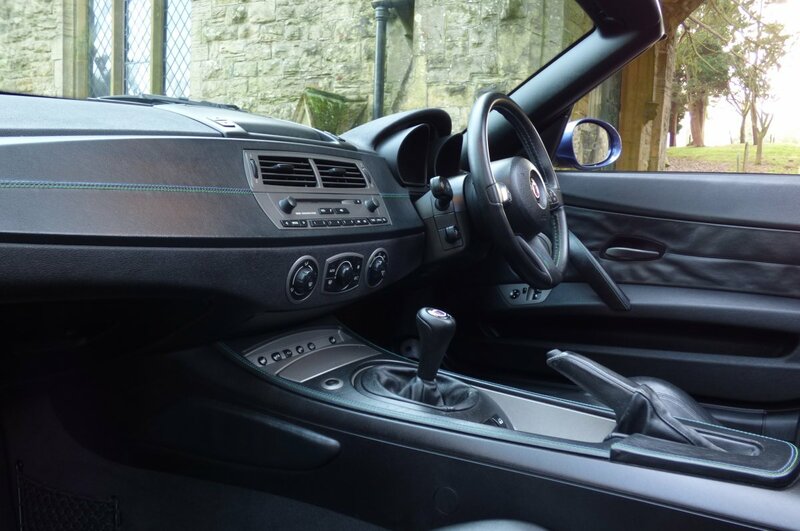 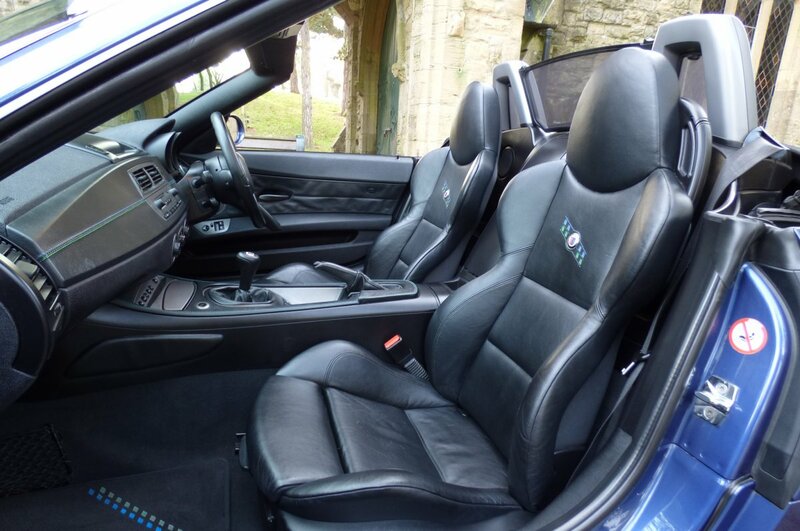 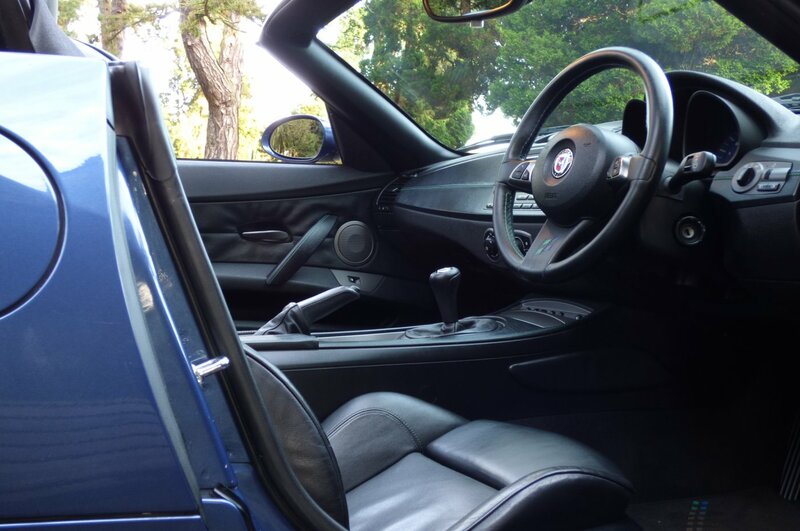 The Interior Offers Both Driver And Passenger An Environment Of Perfect Comfort, Decorated With Signature Alpina Detailing, That Will Make Every Journey, No Matter The Distance, Totally Rewarding And Highly Enjoyable, Time And Time Again. Our Car From Factory Build Is Presented With The Unmarked Alpina Embossed Black Oregon Leather Sport Seats Beautifully Complemented With Black Needle Stitch Detail, The Black Carpets, The Alpina Leather Dash Decorated With The Signature Blue And Green Stitchwork, The Alpina Numbered Plaque, Three Spoke Leather Bound Alpina Steering Wheel, Leather Trimmed Door Cards, The Black Fabric Roof Lining And Finalised With The Dark Grey Interior Inlays. 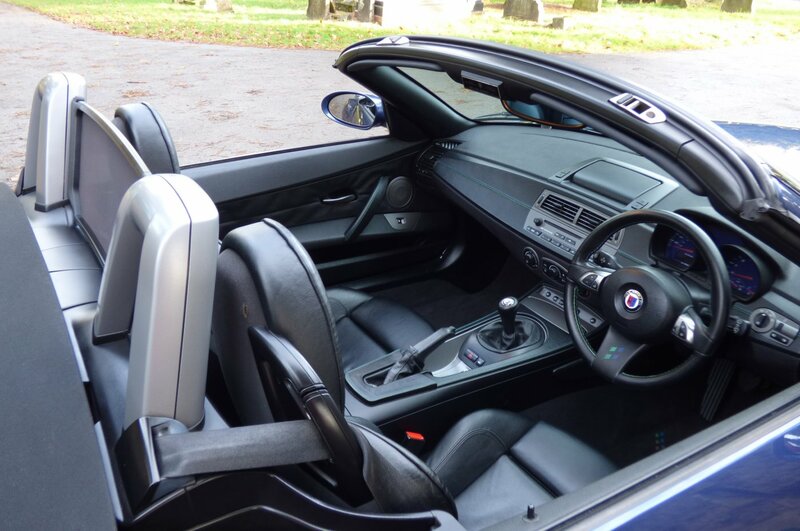 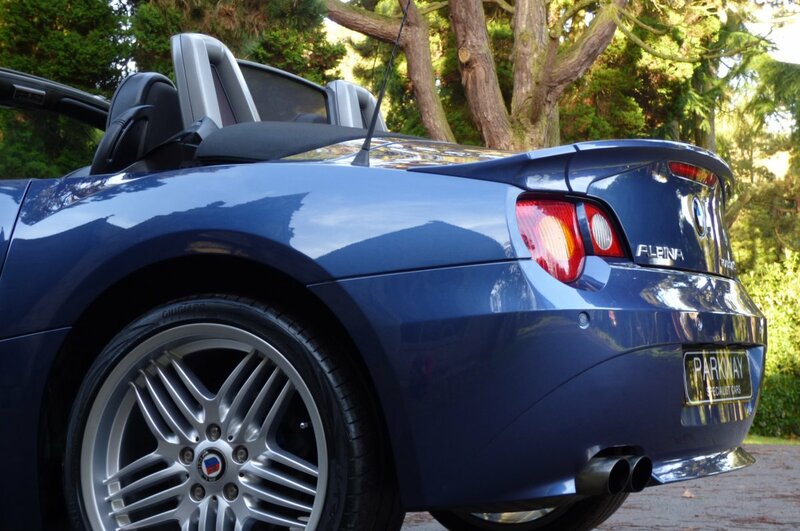 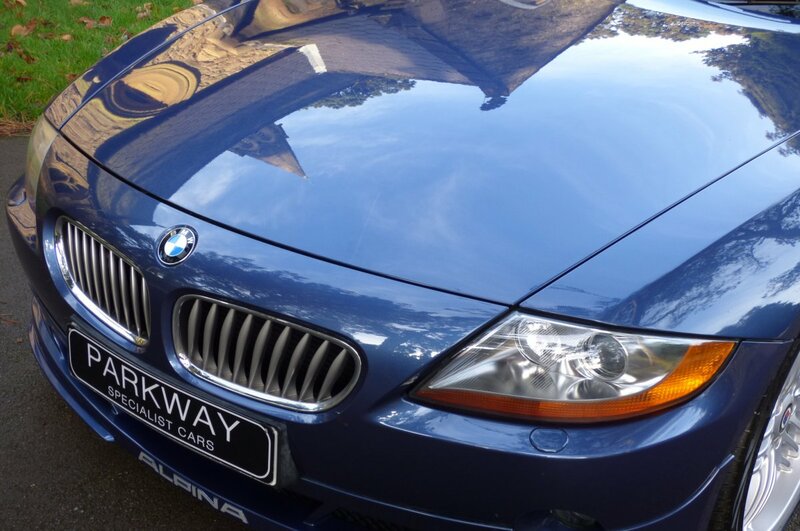 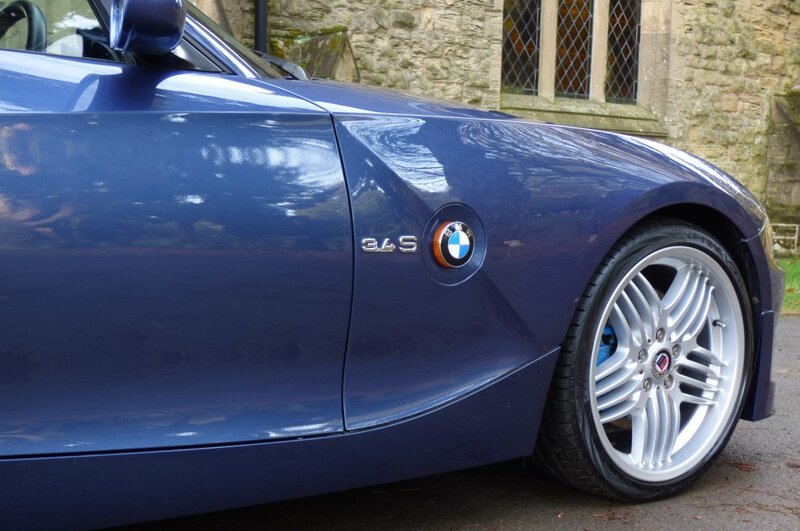 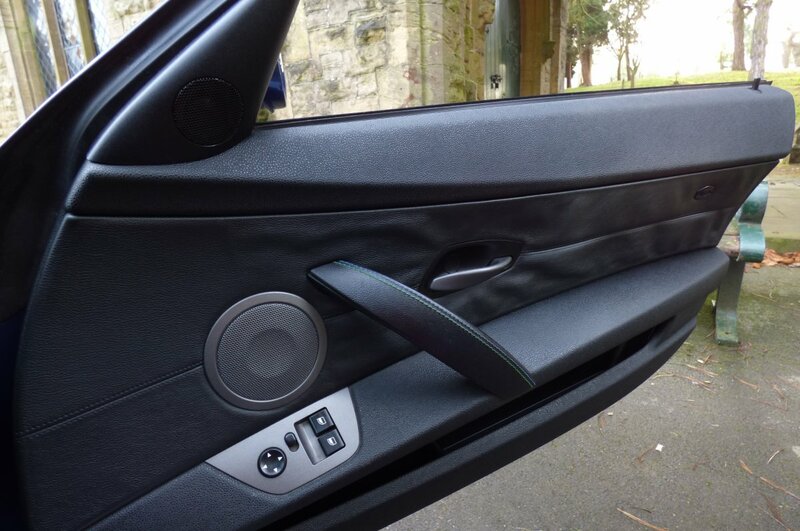 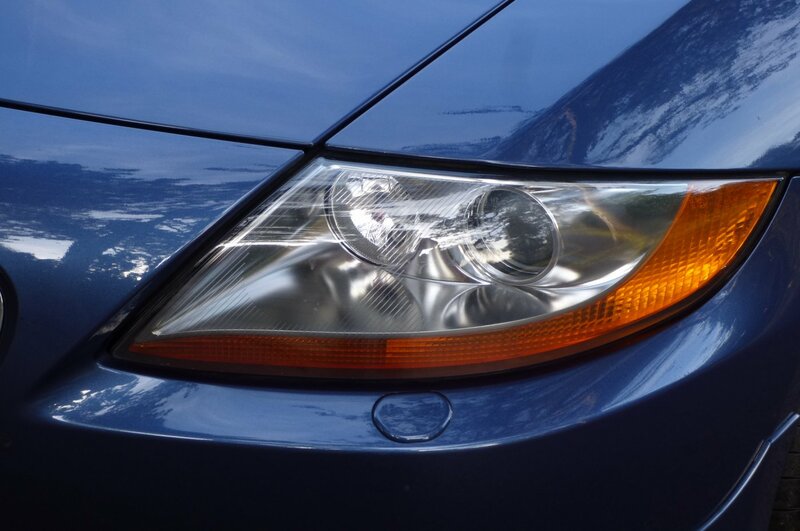 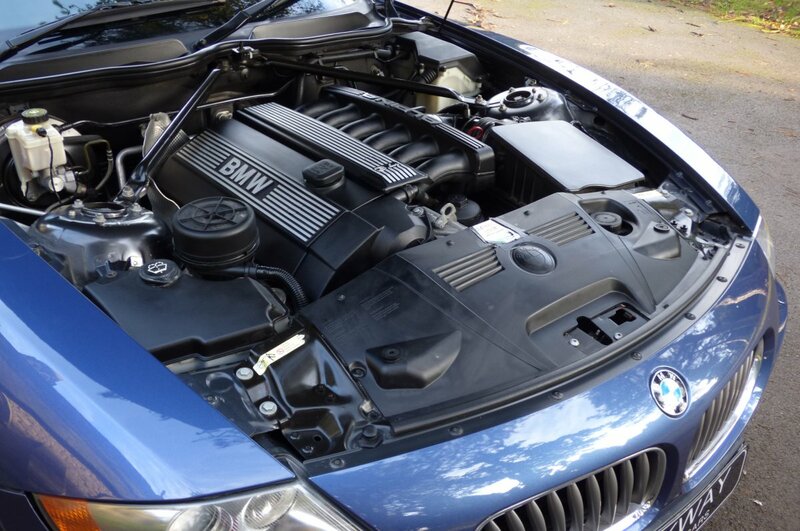 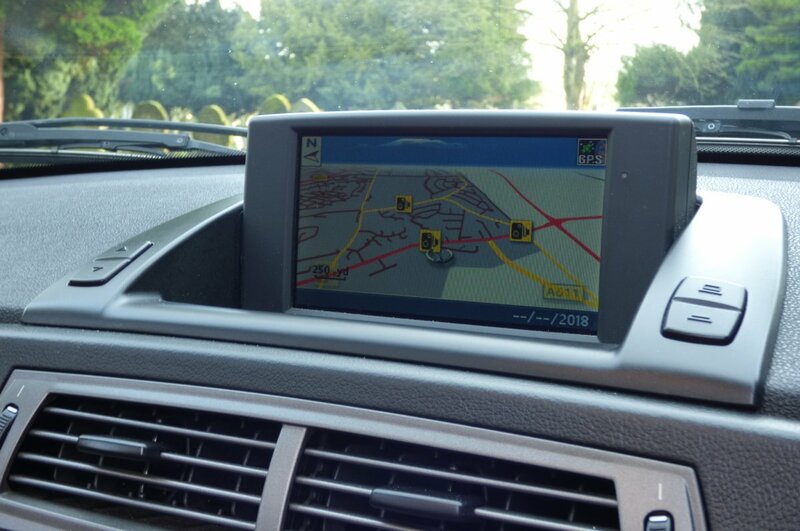 Number 204 Also Boasts An Excellent Array Of High End BMW Technical Options, So Every Adventure In Perfectly Controlled. 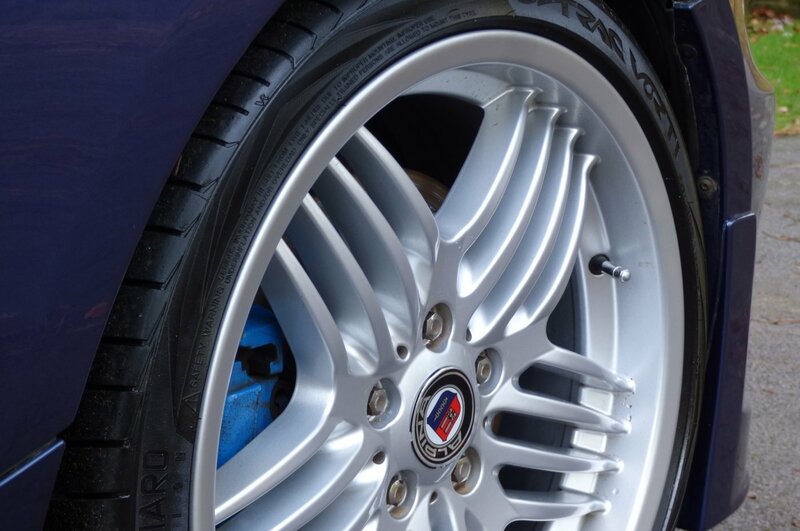 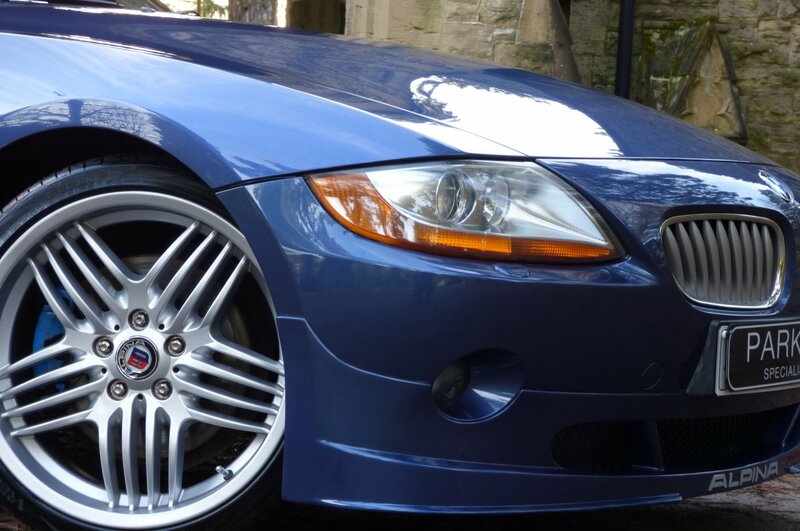 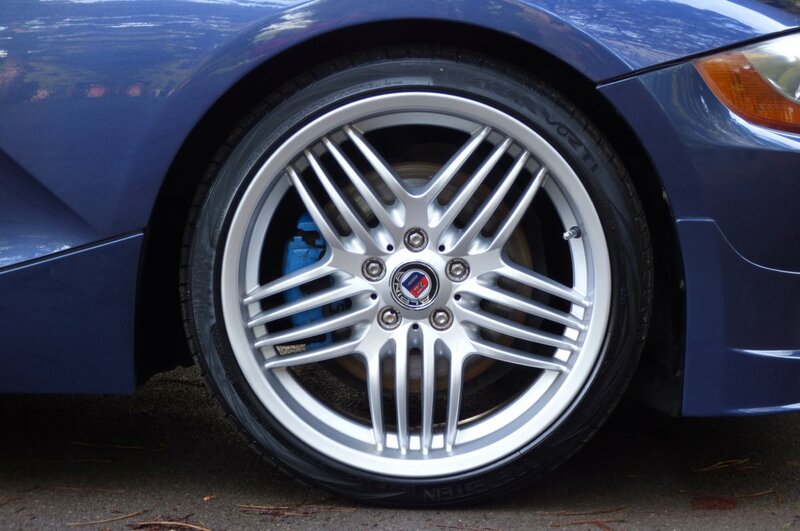 The Sculptured Body In This Aggressive Form, Is Shown Off Spectacularly Well In The Special Order Alpina Blau II Metallic, Allowing All Prominent And Distinctive Alpina Features To Stand Proud. 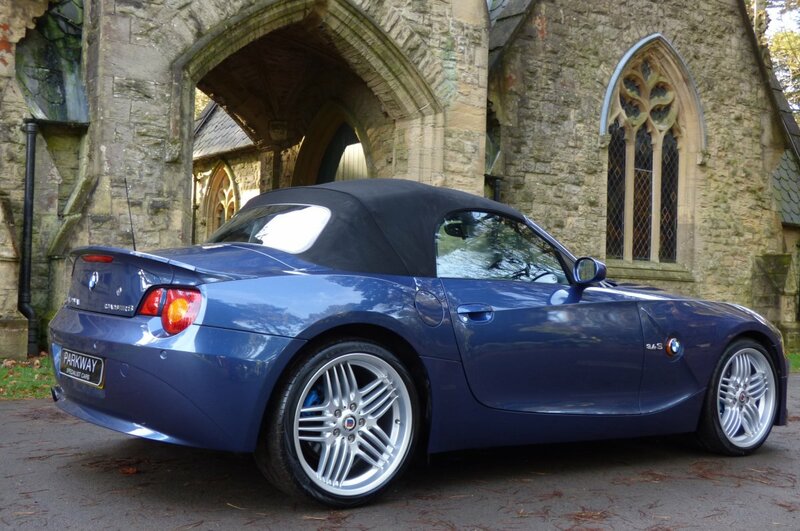 Further Exterior Features Include The Unmarked Silver Finished 19" Alpina Dynamic Multi Spoke Alloy Wheels Which All Sit On Branded Tyres, The Silver Alpina Embossed Lower Front Bumper Valance, The Twinned Chromed Exhaust Tips, The Alpina Rear Boot Lid Spoiler, The Black Fabric Electric Convertible Roof, The Light Grey Front Kidney Grilles, The 3.4 S Chromed Front Wing Badges And Finalised With The Now World Famous Alpina Motifs That Finish This Dramatic Vehicle Stance. 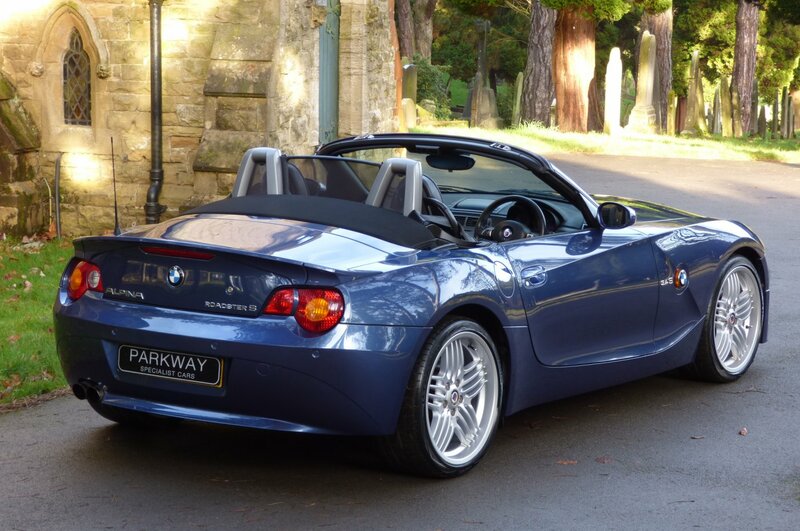 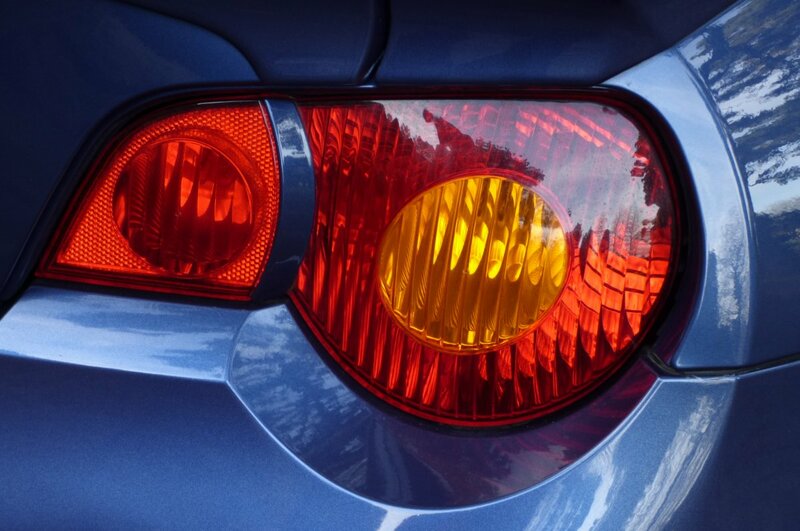 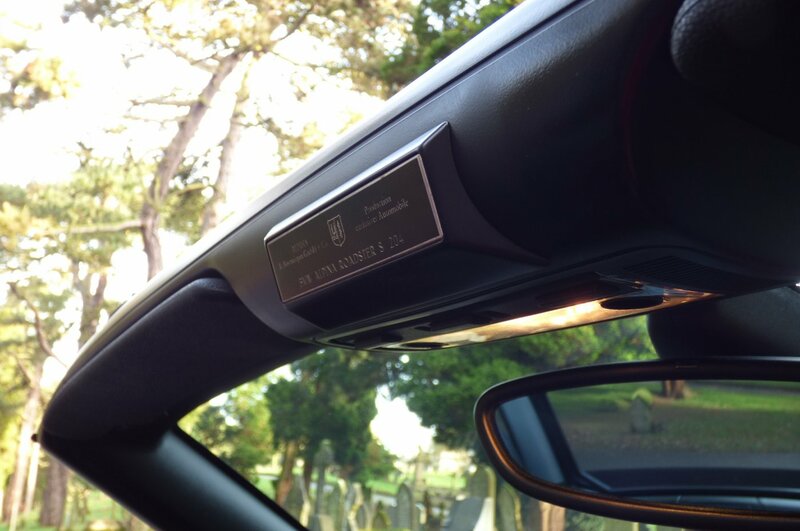 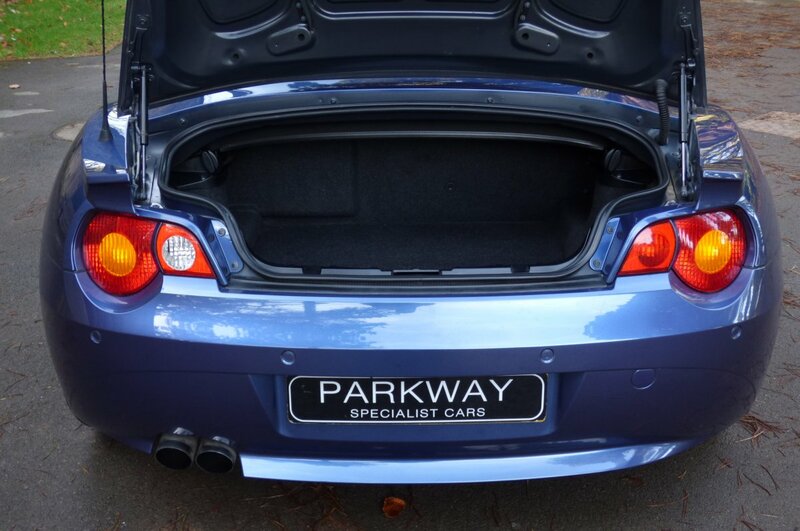 The Car Looks Stunning From Every Angle And Would Be Well Suited Outside A London Town House Or Motoring Through The Open Countryside On A Sunny Afternoon. 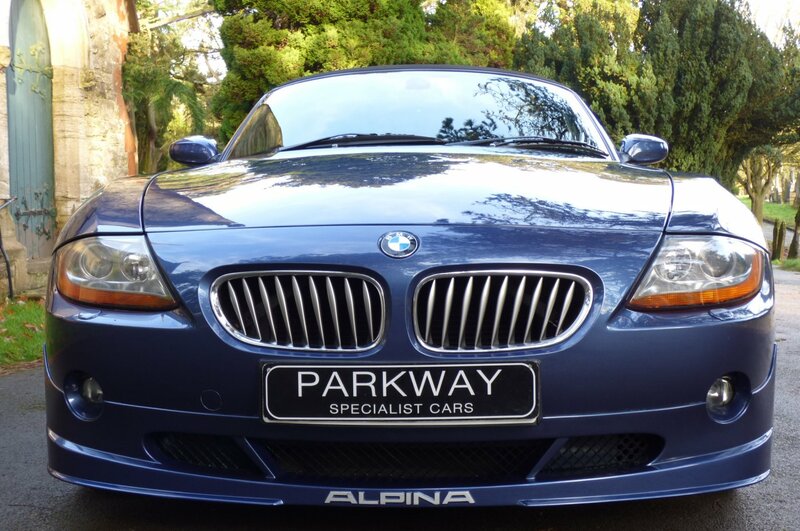 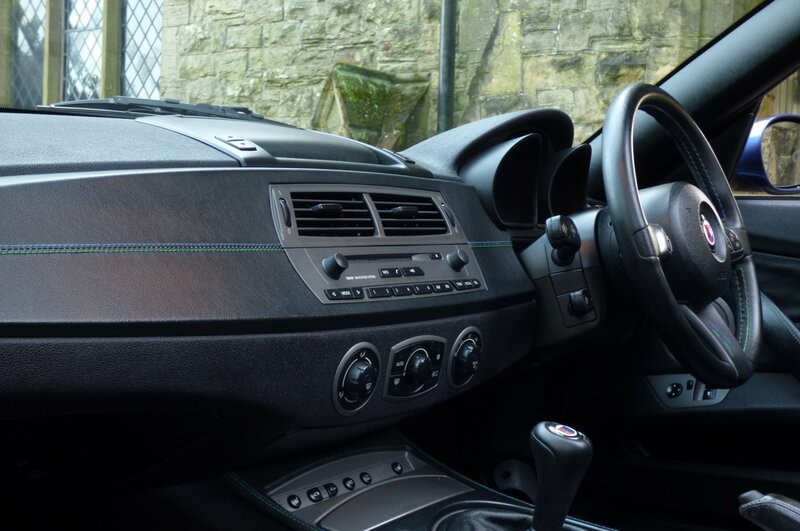 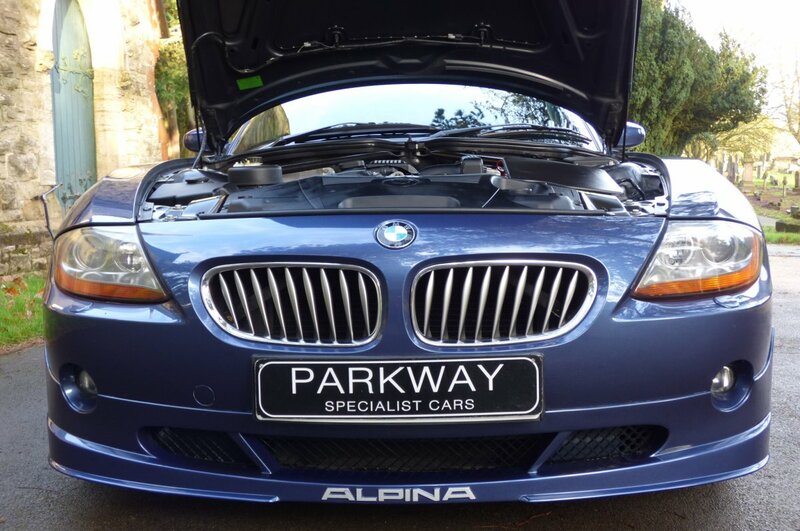 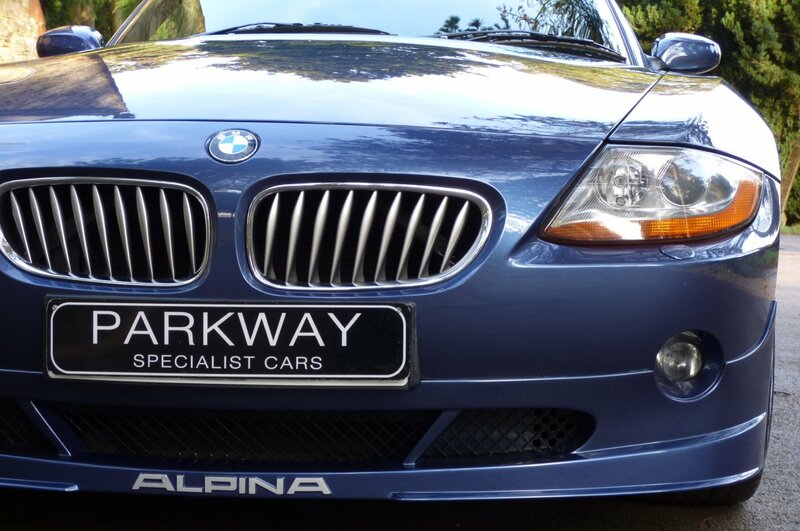 This Lovely Two Keeper Example Offers Options To Include The Full Colour Screen With Professional Navigation System, Unmarked Silver Finished 19" Alpina Dynamic Multi Spoke Alloy Wheels, Dual Zone Climate Control, Variable Heated Front Seating, Cruise Control, Rear Park Distance Control, Xenon Headlights With Power Wash Function, CD Multi Changer, Electric Front Seating With Memory Settings, Alpina Embossed Fabric Wind Break, The Black Fabric Electric Convertible Roof, Electric Window And Mirror Package, Roadster S Embossed Interior Sill Kick Plates, Bluetooth Phone Preparation, Alpina Leather Dash With Blue & Green Stitch, Remote Central Locking With Alarm, BMW Hi Fi Speaker Package, Leather Bound Multi Functional Steering Wheel, Light Grey Front Kidney Grilles And So Much More.  Offered With The Entire Booklet Pack Set, A Fully Cleared Hpi Report And A Full Key Set..